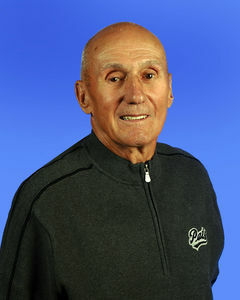 Born in Benito, Maluta has been involved in hockey over five decades. He coached at a Minor League level in Flin Flon for 25 years (1958-1982), as well as Bantam, Midget and Juvenile, winning seven Provincial Championships. He coached a young kid named Bobby Clarke. Maluta received a Level Four Coaching Certificate in 1974 from the CAHA. He coached high school hockey in Rochester, New York for nine seasons between 1983 - 1991. He then returned to Manitoba and was Manager/Coach with Brandon AAA Midgets. He was a hockey scout in the Western Junior Hockey League from 1995 to 2006.